In the files of Spear of Destiny, there is some end-text that was never used. I have posted it here simply because most people probably don't know about it, and it is an interesting view into what the ending of SOD was initially supposed to be. Note that the Ubermutant is called "Schabbs' last curse on humanity", implying that Spear of Destiny was intended to be a sequel, or simply that whomever was typing the end-text never reviewed it because it was never used (Or it's like DOOM's 4th episode ending, in the lack of story consideration...). starkly vivid in your memory. harsh lights of the castle. He was what he was. knives, the depths of Hitler's twisted evil in the flesh. With the Spear gone, the Third Reich will fall. May it never rise again. I think Spear Of Destiny is supposed to fit between episodes 2 and 3. I've seen this text appear after the Angel Of Death is defeated. After that, BJ has a chat with the general (I assume?) about destroying Hitler now that the spear has been obtained by the U.S.. The ending credits boast some very good graphics, and the sepia overtones work really well with the images. But the music ... You've heard it before. Not that the music's bad, mind you. Fair enough. I kind of went with the strangely universal assumption that SOD came pre-Wolfenstein in general, which makes no sense considering the mutants, but this is coming from the people who printed that the Spear was being held in castle Wolfenstein on the box, and added an episode at the end of DOOM after THE END had been clearly displayed, so I assumed they just wanted to make a new episode at all costs. This, this is such a logical solution. I am somewhat saddened that I never came to it, but thank you for mentioning it. Okay, yes. You're right. Thank you for the correction. Out of curiosity, where did you find this "early version"? I would very much like to have a look at it. Probably true. However, I still would like a link, if possible. Sorry, I wrote that too quickly. I tried to use DOSBox mac for it, but I think I need to use Windows. Is the date command used to run dosbox, or inside dosbox? Wow I never saw those endgame screens before, I didn't even know there was unused text for the final screen either. I love how there's always something new to discover for these old games. Yeah, all the ID games have something really well hidden or unused in them. 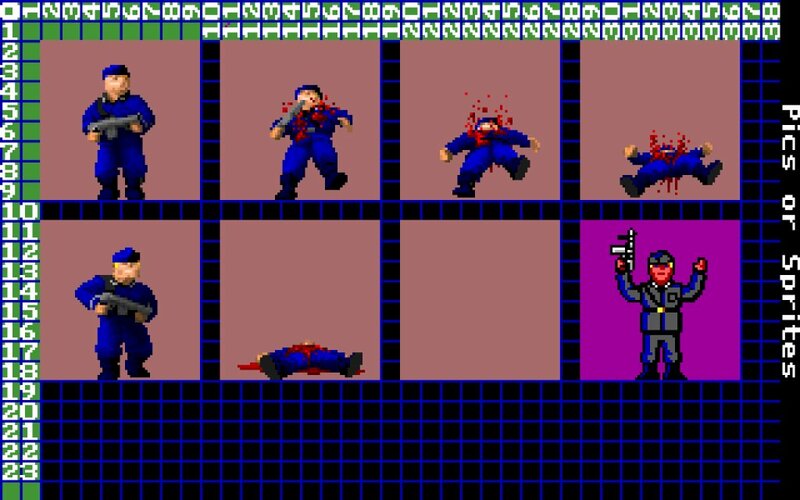 I initially thought that the only unused resource from Spear of Destiny was the "DeathCam (TM)" sprite in the VSWAP, but there's more! I remember seeing this when viewing the game files using WDC. I always assumed they were for when you beat the bosses but they decided not to put text in between the levels. Also I always imagined SOD takes place before episodes 1-3. I'm not sure if it takes place before 4-6 or after, but I feel it takes place before the original trilogy. Yeah, I could only view these files in WDC. AS for the positioning of SOD, it seems that it indeed was a sort of episode 2.5. There's also a "give up" statetype for several enemy types. It's created by the code, but it doesn't specify anything with it ... not even a sprite. Ah, the unused DOOM art reveals much. I kind of feel that the "give up" state should have been kept: If the player enters the room with a chaingun/rocket-launcher, and a guard has a pistol and yells "ACHTUNG!"! And tries to fight the player, it degrades the realism. Actually, I enjoy this state to the degree that I added it in some of my recent mods as one of the guard pain states, having roughly a 1/10 chance of surrendering, and playing the Rise of the Triad "no...please!" sounds.